In 1944, Joseph John Lippert had a family friend construct the first home on our segment of Pape Ave. In 1957, this home became the Lippert Music Centre we know and love today! 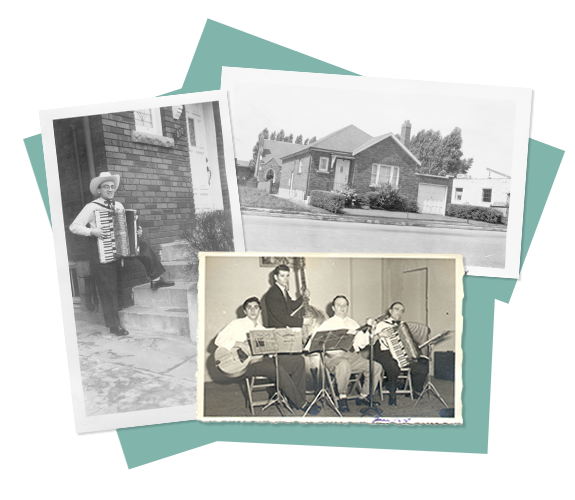 Joseph Lippert Jr., founder of Lippert Music Centre, spent most of his time travelling and teaching accordion in people’s homes. He consistently had a full roster of students who affectionately remember his caring teaching style, as well as the Tupperware full of coffee he carried from house to house. As time passed and the popularity of the accordion began to wane, Mr. Lippert began to teach more piano, guitar, banjo, and bass. After many years of being a guest in the homes of his students, he decided to bring his students into his home on Pape Ave. In 1996, Mr. Lippert retired and passed on the music school to his daughter, Charleen, who has since served as both director and teacher. 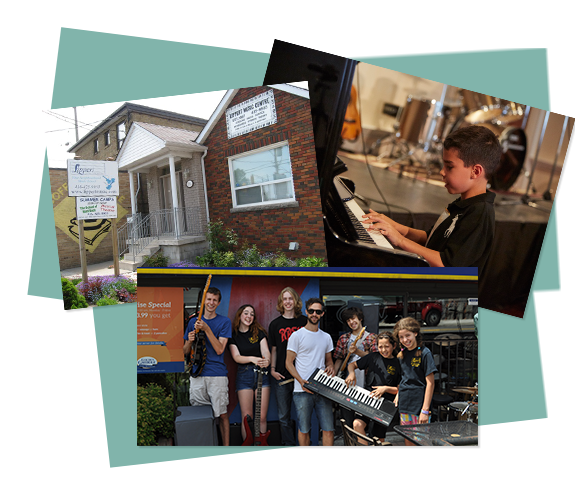 Through the years, Mr. Lippert maintained a reputation for fun, and high-quality teaching which formed a basis for what Lippert Music Centre is today. Since then, Lippert has grown to include a teaching faculty of more than 30 teachers, nearly 400 students, more than 10 studios! All of this, however, was built upon one core tenet: musical excellence!